Dr Theodorou completed his medical training in 2002 at the University of Leicester medical school, United Kingdom. Following his yearlong pre-registration practice he completed his three-year general / internal medicine training which resulted in achieving membership of the Royal College of Physicians of the United Kingdom (MRCP UK). He further specialised as a cardiologist within the West Midlands, completing a period of five years specialist training, in the University Hospital of Birmingham, and University Hospital of Coventry and Warwickshire with a subspecialty in interventional cardiology. 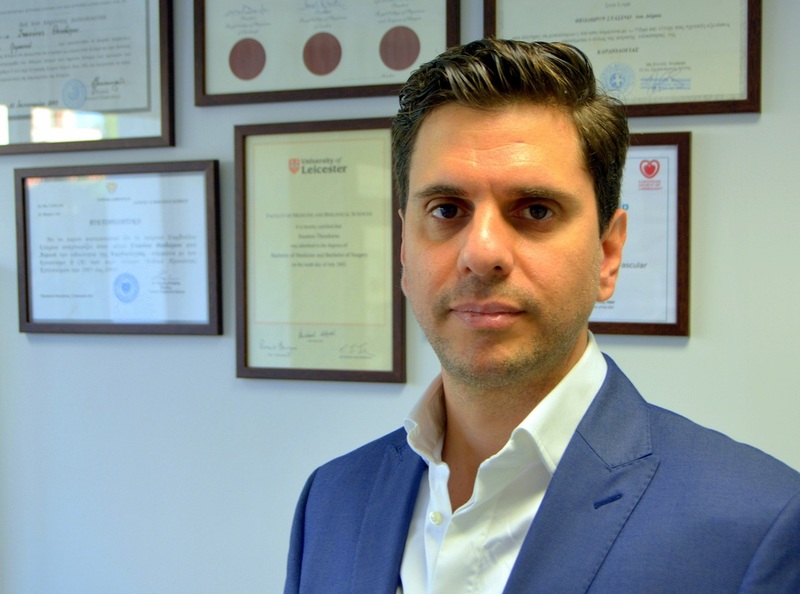 Following successful completion of the official speciality-certifying examination in Greece, he was accredited with the specialty title in Cardiology and returned to Cyprus in 2011. He worked as a consultant interventional cardiologist at Limassol General Hospital until August 2017 establishing the local radial access programme as well as assisting in the set up of the Limassol primary PCI network. From September 2017 he resigned from the public health sector and now works full time as a private Cardiologist collaborating with the American Medical Centre for interventional and inpatient work. Currently Dr Stasinos Theodorou is a member of the Cyprus medical association as well as the Cyprus society of Cardiology. He is also a member of the European Association of Percutaneous Cardiovascular Intervention (EAPCI), and the British Cardiovascular Intervention Society (BCIS). During his training he has been academically active and has published several scientific articles in well-respected medical journals. He has also participated in medical research trials through his different posts in UK University Hospitals.